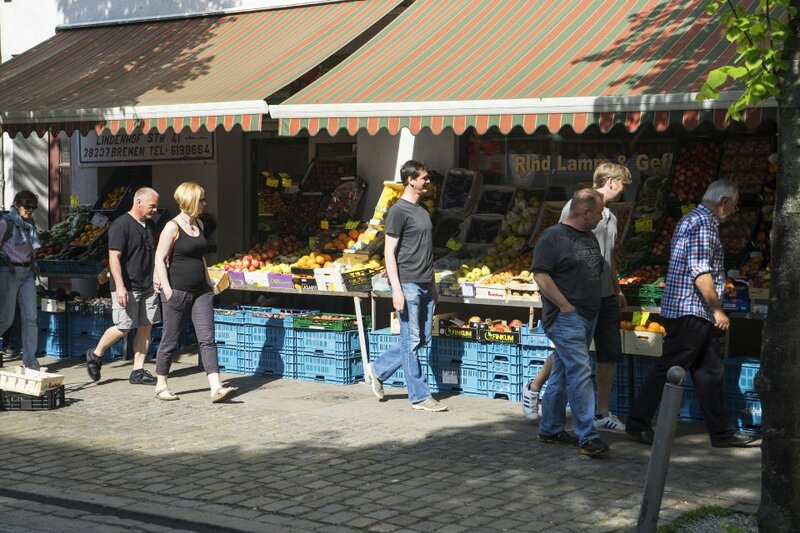 Of the three neighbourhoods in the west of Bremen, Gröpelingen is the biggest and the most populated. In the 1960s, numerous migrant workers, especially from Turkey, found work in the factories on the industrial harbour of Gröpelingen. As a result, even today the neighbourhood has many residents with a migration background. Until the 1980s, Gröpelingen was a typical working-class neighbourhood, with the Großwert AG Weser as its largest employer. The closing of the shipyard saw a decline in the housing prices. Cultural diversity and a relatively young population is characteristic of the neighbourhood today. Almost 43 percent of the residents have a migrant background and the proportion of children and youth is 18 percent higher than average. Until the industrialisation of the area and building of the harbour in the 19th century, the area of Gröpelingen was rather rural. Today it is a mixture of small commercial businesses and residential streets with apartment buildings or row houses. The section of Lindenhof has good infrastructure and inexpensive housing, and has started drawing students and artists. 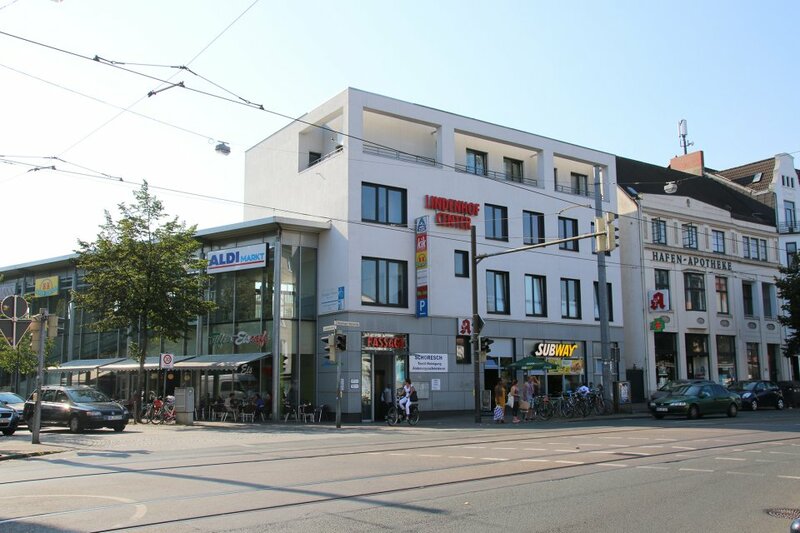 There are numerous retail stores, dicounters and specialty shops for your daily shopping needs, as well as the Lindenhofcenter shopping mall. Most of the residents of Gröpelingen live in the section of Ohlenhof. 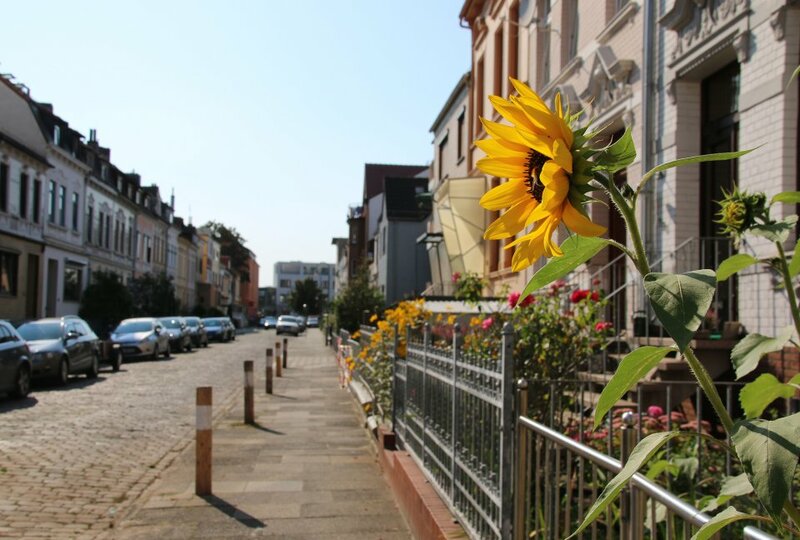 In this quiet, residential area you can sometimes find lovely, inexpensive Old-Bremen houses. In den Wischenis the least densely populated: In the idyllic garden allotment area with lots of water canals, live only eight elderly residents (Status 12/2015). 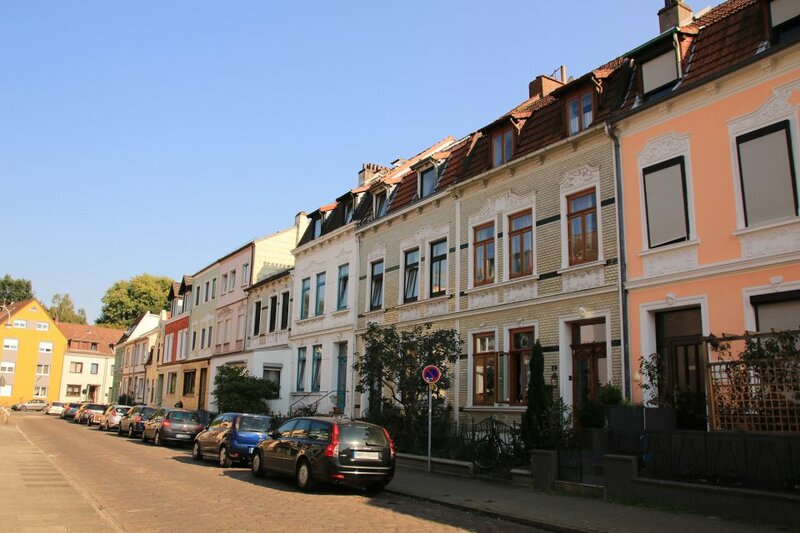 The section of Oslebshausen is one of the most culturally diverse neighbourhoods in Bremen and has very inexpensive rental prices. The species-rich Oslebshauser Park impresses with a large, old stock of trees. The correctional facility is also worth seeing. A listed, gothic building, it’s been under construction since 1871. Oslebshausen has its own train station with a fast, direct connection to the Bremen city centre. Every year in autumn, the international storytelling festival Feuerspuren takes place in Gröpelingen. 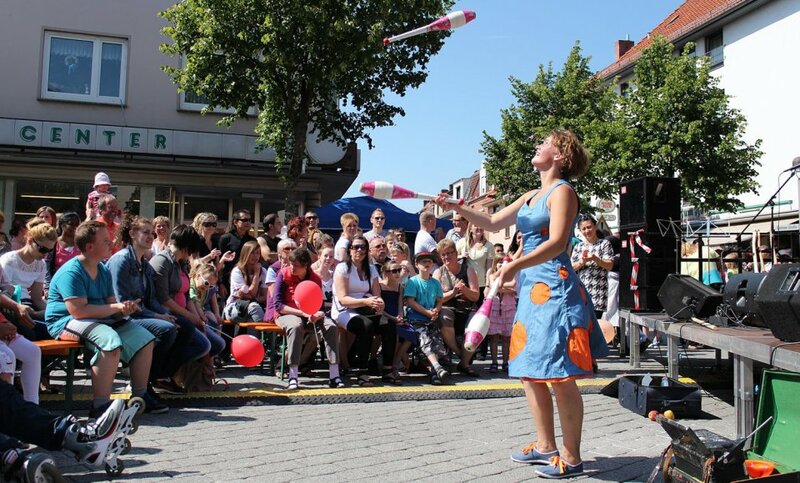 At the beginning of the cool-weather season, this event brings neighbourhood locals and people from all over Bremen together. Sometimes in a laundromat, sometimes in a bicycle shop - unusual places are chosen for readings and storytelling. The programme is multi-lingual. Traditionally, the festival ends with a lantern parade and a firework display on the Weser promenade of the Waterfront Bremen. Artistic disciplines in Gröpelingen are represented at the Atelierhaus Roter Hahn on the Gröpelinger Heerstraße. The building has ateliers for artists, studios for kids and teens to learn art, the Café Brand, and a gallery with changing exhibitions. The Atelierhaus is run by the Gröpelingen association, Kultur vor Ort. With numerous artistic and cultural offerings, it has become one of the most important institutions in the neighbourhood. The bronze sculpture, "Zur Schicht" (To the Shift) from 1983, is a work by Waldemar Otto. 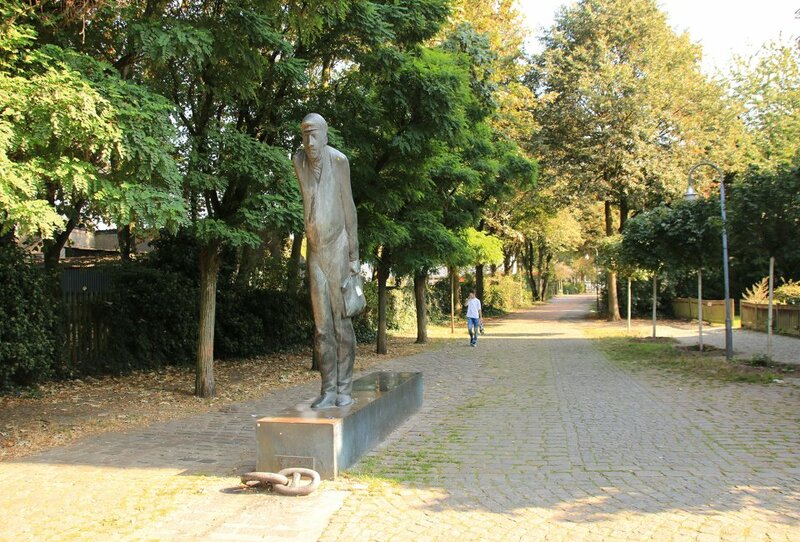 It stands in Gröpelingen in the Lindenhofstraße, on the corner of Dockstraße, and commemorates the former AG Weser dockworkers’ way to work. 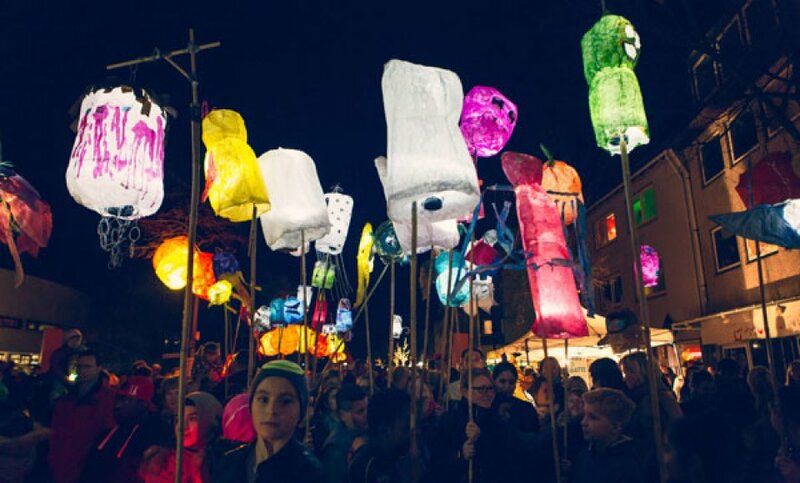 Here, they let the music play: The beloved neighbourhood festival turns the entire Lindenhofstraße into a huge promenade with numerous cultural offerings and hands-on activities. And food-wise the Gröpelinger Sommer (Gröpelingen Summer), with its many international specialities, has something for everyone. The Gröpelinger Sommer takes place every two years, in alternation with the Bremer Fährtag. The Bremer Fährtag in spring opens the ferryboat season. It has informative tours and a colourful programme for the entire family. 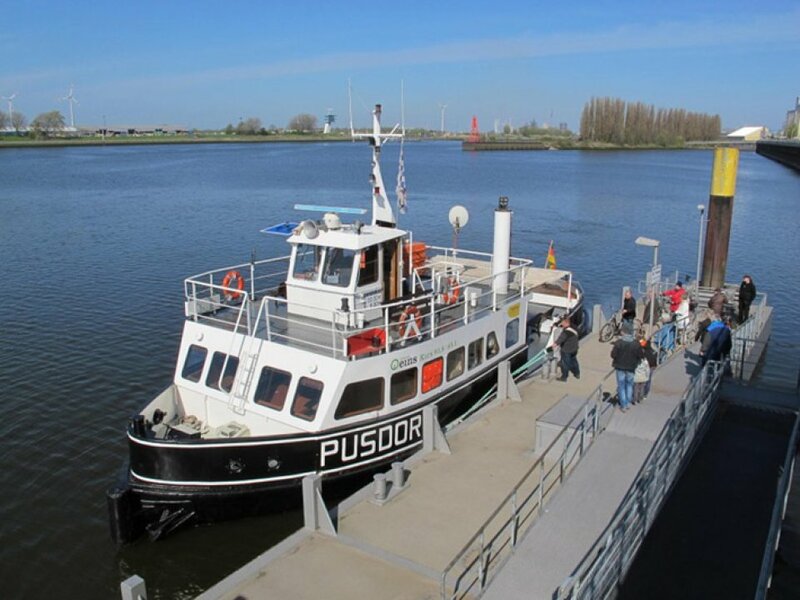 With a single ticket, you can ride throughout the day on different ferries to different neighbourhoods. 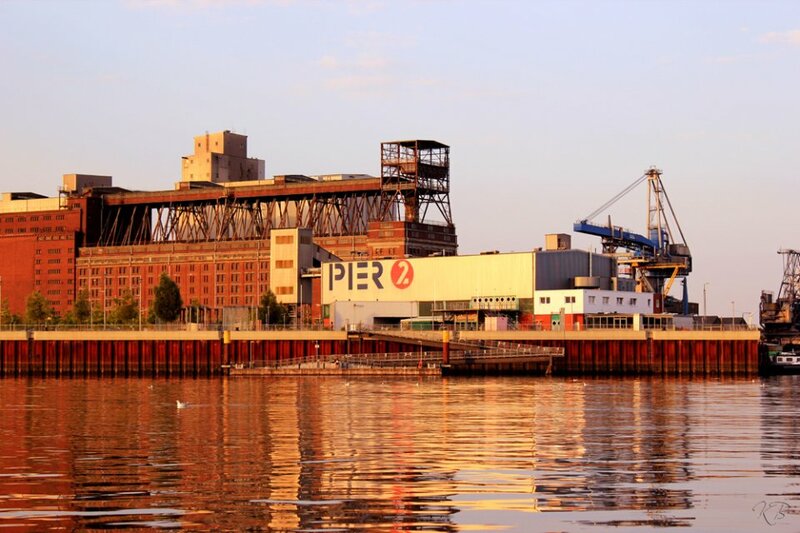 The route goes along the coast of Gröpelingen, the Überseestadt, Woltmershausen, the city centre, the Weserstadium, as well as the piers of Lemwerder and Vegesack. The Bremer Fährtag takes place every two years, in alternation with the Gröpelinger Sommmer. 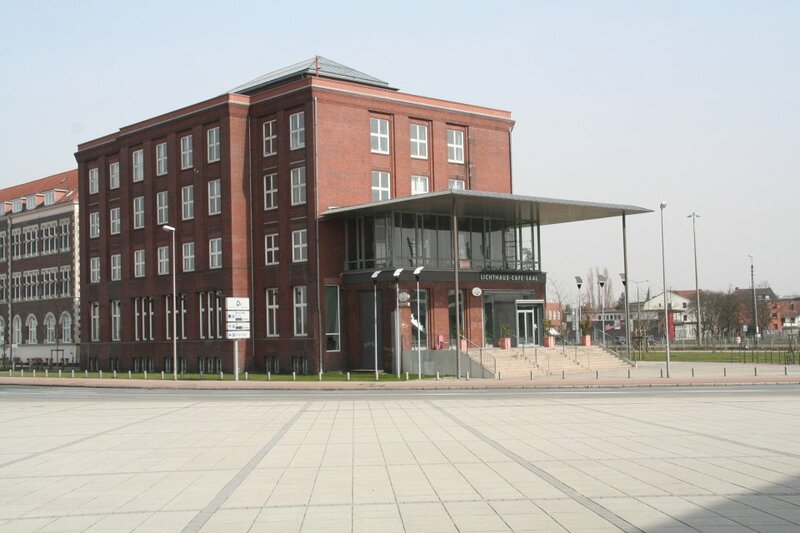 Today a large shopping and entertainment complex stands at the site of the former AG Weser. International name-brands and well-known chains have stores here. There’s a large food court with a 25-square metre TV screen and the biggest 3D multiplex cinema in the region. With around 4,000 parking spaces, parking is not an issue, but - with its own tram stop - public transport to the city centre is also very convenient. 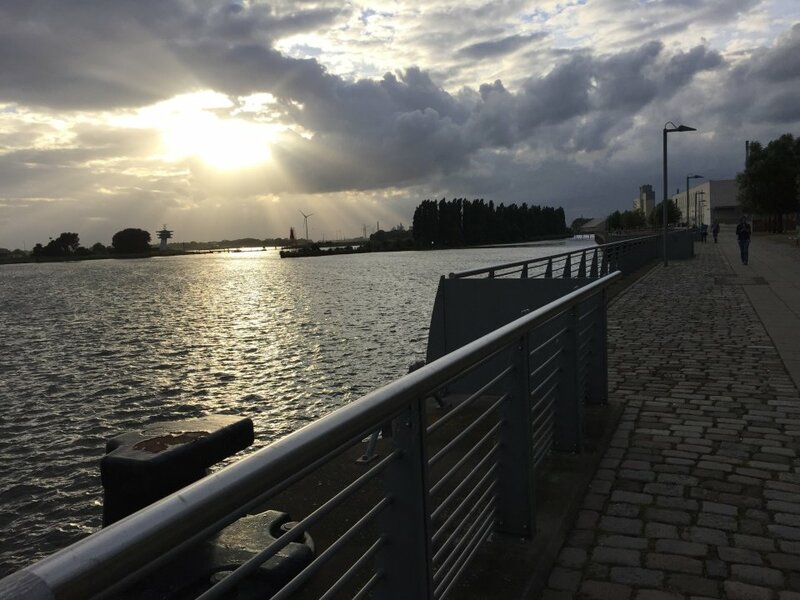 In the summer, the terrace behind the Waterfront has a wonderful view of the Weser and the harbour. 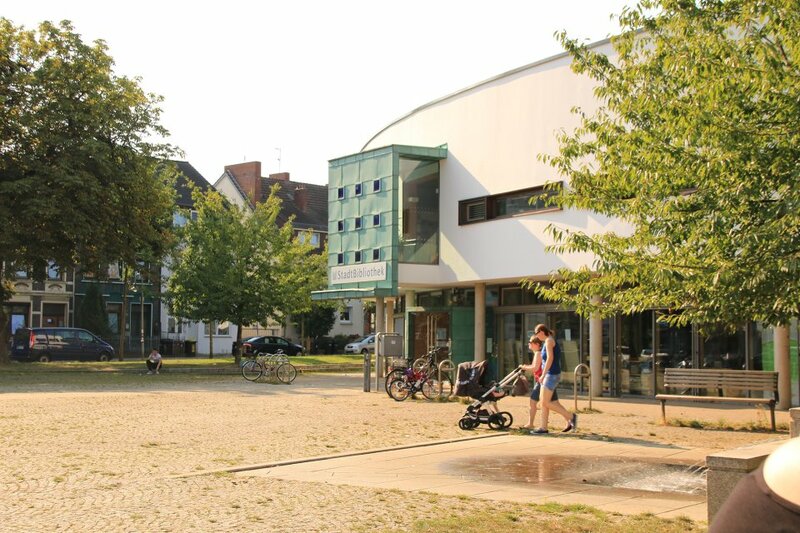 The meeting place in Gröpelingen where it’s all about education is the Quartiersbildungszentrum Morgenland (Community Education Centre Morgenland). This is where schools, kindergartens, and neighbourhood institutions come together to create better educational chances for children and youth. In addition, there are counselling services for area parents. In the Lindenhof section of Gröpelingen, is the Fatih-Moschee. 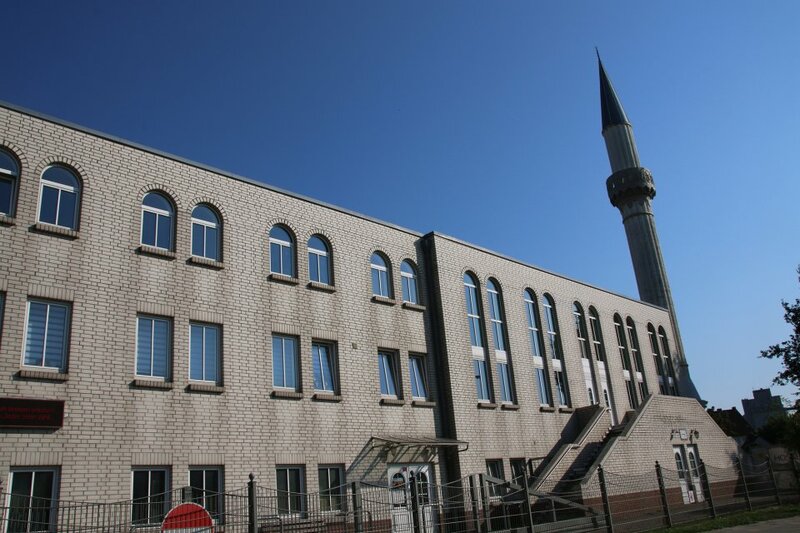 It is the oldest and biggest Muslim congregation in Bremen and the third largest in Germany. Tours of the impressive mosque are offered upon request. With the striking scenery of the harbour and grain transport building in the background, some of the biggest names in show business play at Pier 2. Rock concerts, mega-parties, comedy - in the multifunctional hall, events of all kind take place. The 1,200-square metre hall has the capacity to hold 2,800 people. Information about current shows and dates can be found on the homepage of Pier2. The Lichthaus stands as a reminder of the changing face of the neighbourhood. 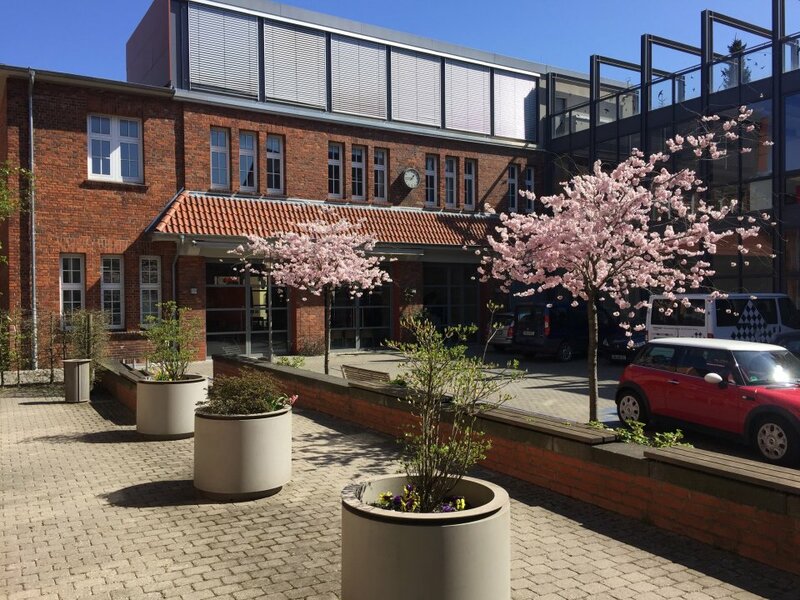 The historical building from 1916 was initially the administration headquarters of the shipyard consortium AG Weser and was painstakingly renovated in the 1990s. 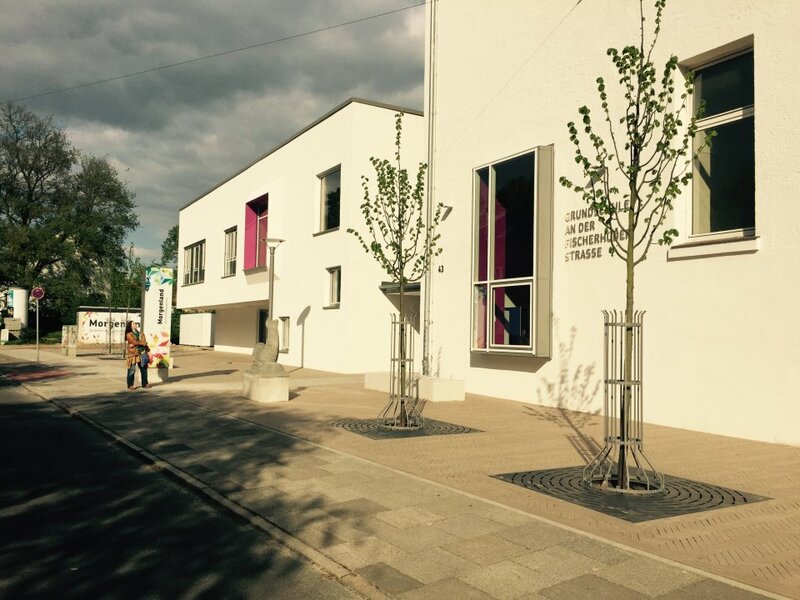 Today the building functions as a meeting point for culture, education, and communications. Numerous firms, agencies, and smaller businesses have offices here. The great hall under the atrium can be rented for conferences and events. 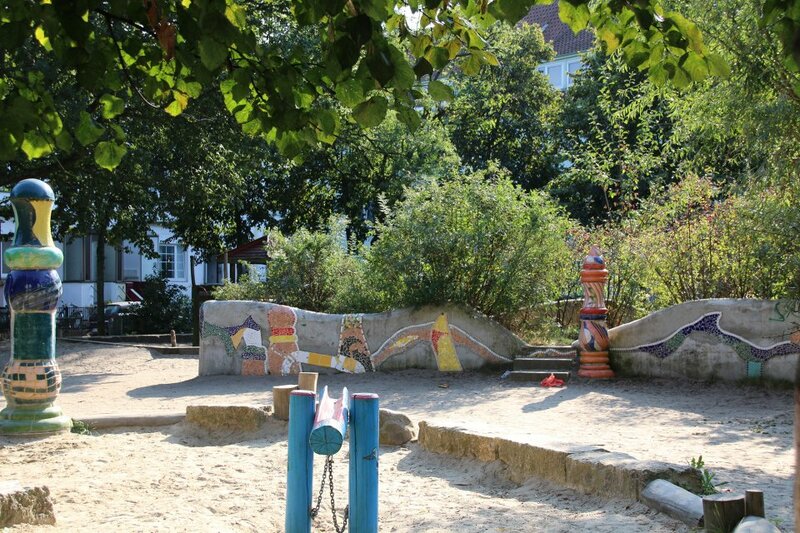 Playing, climbing, romping, and picnicking: The ApfelKULTURparadies is one of the best loved places for families in Gröpelingen. 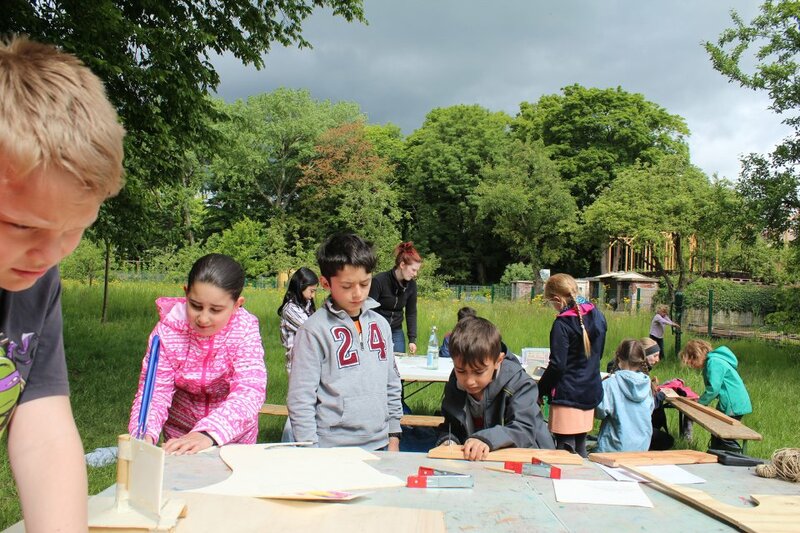 The 2,500-square metre area with fruit trees and a tree learning trail is open every Sunday from May till September from 15:00 to 18:00. 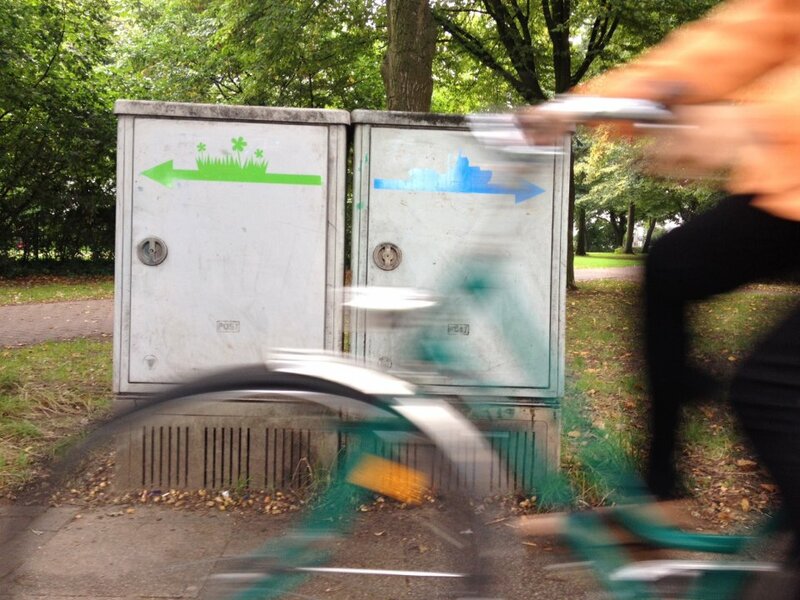 Practical orientation for walkers and bikers: Either on electrical boxes, house walls, or public buildings - the two-coloured guiding system can be seen all around the different sections of Gröpelingen. From Gröpelinger Fähranleger/PIER 2 to the Wümmewiesen, they mark the paths leading from the Weser to the Blockland. You needn’t think of the industrial as just ugly, vulgar, and disruptive - it has an aesthetic of its own. 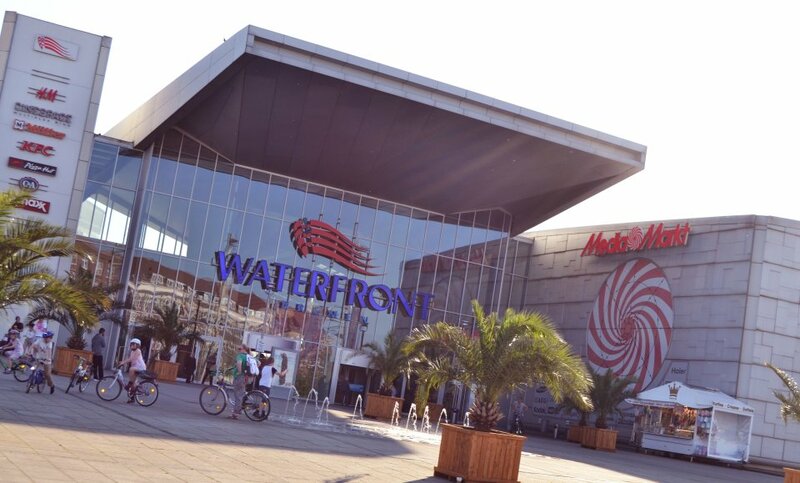 At the harbour, there are numerous impressive buildings that can be reached on foot, by bike or in the car. One is the monumental grain transport facility, which was built at the beginning of the 20th century and is counted as one of the largest buildings of its kind in the whole of Europe. Parts of the facility are listed as historically protected. At the border of Walle and Gröpelingen there is a wonderful place to sit back and relax. 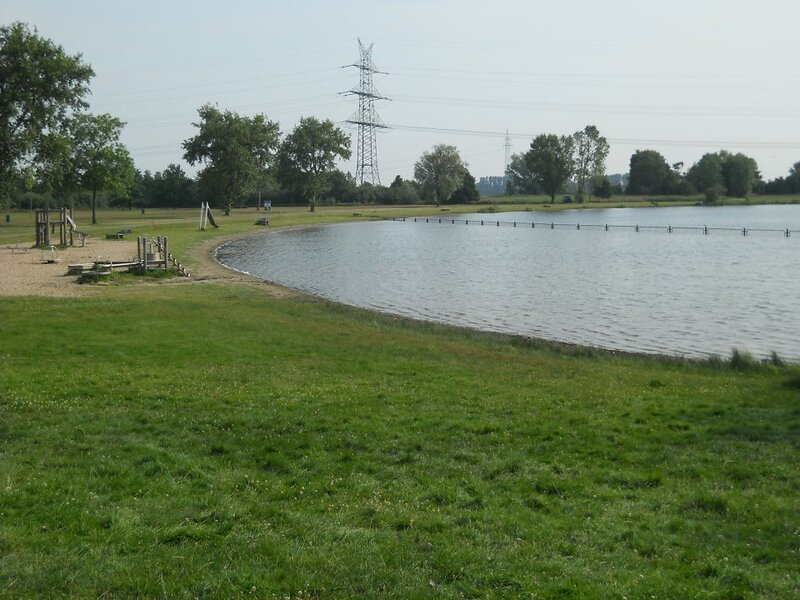 The 12.36 hectare wide and 16.5-metre-deep Waller Feldmarksee abuts against the garden allotment area "In den Wischen". In summer, the water quality of the man-made lake scores between good and excellent - ready to be enjoyed by swimmers and surfers. A small sandy beach and large lawn offer the perfect place for some rest and relaxation. On sunny days, visitors should bring a beach umbrella because the area has very few shady spots. 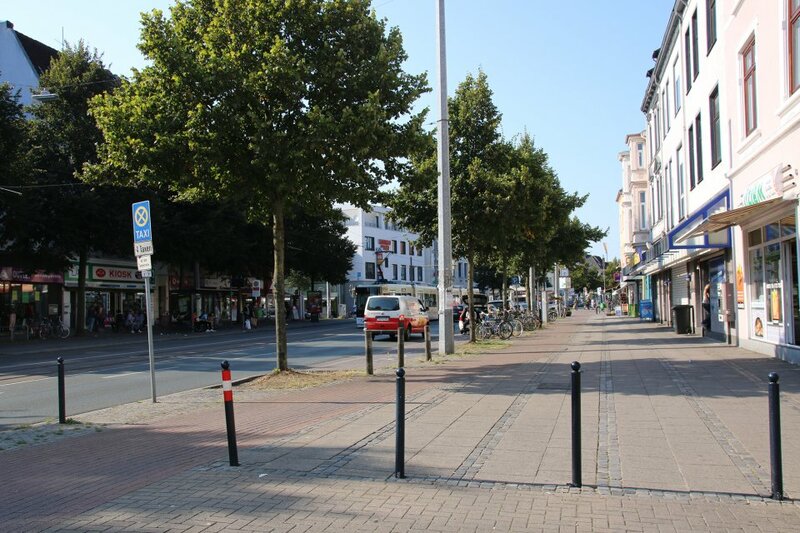 The green path to the Bremen City: Those who live in Gröpelingen can use the Grünzug West, a "green" bike path that begins in the Oslebshausen section of Gröpelingen and - away from the busy traffic of the main streets - leads to the neighbourhood of Walle and to the Waller Park. Then there’s a short stretch on the streets of Lange Reihe and Steffensweg up to the Elisabethstraße, where the next run of green begins. The "Waller Grün" turns into the Utbremer Grün, and at that end of that, you’ve reached the Hans-Böckler-Strasse. Turn left on to the Doventorscontrecarpe, cross over the Daniel-von-Büren-Straße and you’re already at the Wallanlagen, which passes the city centre, and ends east of town in the Östliche Vorstadt.